As a graphic designer, you know great design is more than logo placement and text layout. So much more. So it comes as no surprise that this applies to trade show giveaways too. Shapes, colors, proximity, similarity and continuity must all be considered. The arrangement of these visuals must convey a specific message while supporting any text. The tone must align with company values and image. And you must incorporate all the subtleties outlined in a style guide to ensure consistency across all channels. Graphic design is an art and a science that can have a psychological impact, which may go unnoticed by the untrained eye, but you know is a crucial part of the foundation for any great design—especially when it comes to trade show giveaways. When working with event marketers and managers, you’ll spend hours on website design and integrated marketing campaigns to entice people to attend. You’ll design collateral to distribute at client meetings. 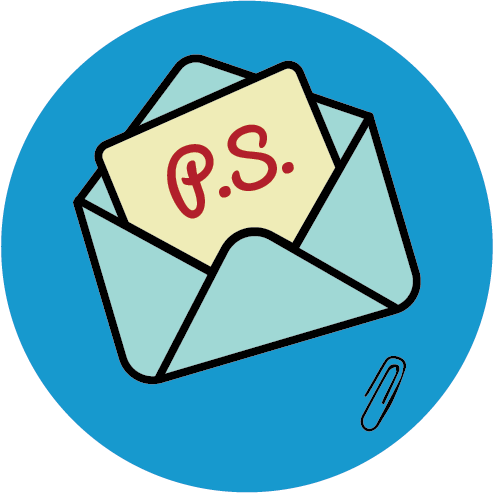 You may even create email and direct mail programs to follow-up with prospects post-show. But are you involved with the design and/or selection of promotional products given to booth visitors? Tradeshow giveaways are the one thing customers and prospects can take home with them to remember your brand, yet often designers aren’t even in the conversation. There are misconceptions about promotional products (a.k.a. branded merchandise, trade show giveaways and swag). Some people think that adding a logo to an existing product is customizing it. Nope. That’s decoration. And some people think that the only products available are those seen online or in a catalog. No way. Not true either. Fact: There’s so much more to trade show giveaways than imprinting a logo onto a stock product. Unfortunately, many event marketers don’t know they can reach out to designers to create original products. Thus, they end up stuck in a rut, completely uninspired, with the same ol’ boring products are distributed at event after event. Zzzzzzzzzzzzzz. To help fire up those creative marketing engines, we introduce: The 12 Immutable Laws Of Trade Show, Conference & Event Giveaways. Here, we guide you through 12 principles that can be incorporated into promotional products to make them unlike any you’ve seen before. Each principle builds upon one another, so that by the end, you’ll have a solid plan that can easily be implemented for any event. But here’s where things get really fun. Remember show and tell from elementary school? Yeah, we liked that. So in addition to telling you all about the Laws Of Trade Show, Conference & Event Giveaways, we’re going to show actual product ideas of how these laws can be implemented and we’re going to do it by creating event giveaways for some of the world’s best tech brands as examples. You read that right. We’re going to design sample product ideas for iconic brands such as Google, Apple and Microsoft that could be used at an upcoming event. We’ve taken on a challenge: Design truly custom promotional products that fit the example brand like a glove by baking in the DNA of the brand + audience + event. Additionally, the products designed must achieve a measureable marketing goal, be different from every other promotional product at the event, be different from every other promotional product the brand has used at events before, and it must be packable in carry on luggage—because what good is it if recipients can’t take it home with them! Keeping in mind there is no endorsement of these products by the brands represented, we’re simply trying to tell a story of what IS possible by using brands and events that you know and understand. Sound like a tall order? Yep. But we’re totally up for the challenge. Because we want to prove what CAN be done…with a little creativity and ingenuity. Bottom Line: Our goal is to create a new breed of promotional products that completely reinvents how brands market themselves at events—from tradeshows and conventions to sales meetings, educational conferences, pop-up events and everything in between. Ultimately, we want to show brands the trade show giveaways they can aspire to when marketing themselves at events while giving designers, engineers and brand/event marketers the tools they need to help make it happen. And hopefully start a movement. To help you navigate through each law and refer back to them (you’re gonna want to bookmark this), here are the links to each law within this post. Now grab your favorite beverage, sit back (maybe grab your favorite note-taking tool) and use this inspiration to revolutionize how you do swag. Law 1: Incorporate Good Design. An Idea For Apple. As a designer, you know that promotional products can enhance the on-site event experience as well as serve as an important post-festivities branding reminder. But how much time do you spend working with event marketers and managers selecting branded merchandise to support meetings, conferences, tradeshows and educational summits? Where do you find products? The reality for most designers and event marketers is that giveaway ideas for trade shows are often selected out of a catalog at the last minute. While the products may align with corporate colors or event theme, do they truly represent your brand DNA? What Would Happen If You Put Design First? Forget the catalogs of endless products for a moment. Let’s say you could start with a clean slate. No preconceptions. What would happen if you put design first? If you put design first, there would be no limits to the event merchandise you could make. The products would be more creative, unique to your individual brand and deliver your brand message to recipients in a way that no off-the-shelf product can. In theory, this is absolutely true. But what about in practice? The Event: Anita Borg Institute’s Grace Hopper Celebration (GHC) of Women In Computing Conference. The Audience: Women technologists from 63 countries. The Marketing Goal: Create word-of-mouth on social media during the event as well as build brand awareness via repeat product exposure and use after the event. If you want to be surrounded by a lot of smart women all in one place, attend the Anita Borg Institute’s Grace Hopper Celebration (GHC) of Women In Computing Conference. Every year, GHC brings together the community of women technologists, the best minds in computing and increased visibility for the contributions of women to computing. GHC 2015, hosted nearly 12,000 attendees from 1,300+ companies in 63 countries. GHC 2016 is expected to top 15,000 attendees. If Apple were an exhibitor at this event, what kind of trade show booth gift can you give such a large number of ladies from different backgrounds and cultures? Well, jewelry, of course! 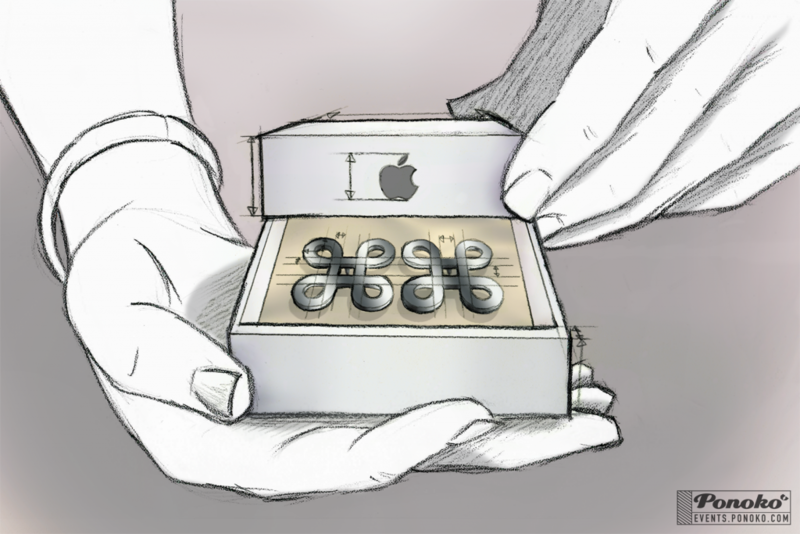 To create word of mouth on social media during and after the event, designer Annie Rawle used the command key and the “clover” image that are unique to Apple as inspiration for earrings. The earrings are shaped like a command symbol stud on the ear, and they would be presented in a gift box that incorporates Apple’s signature packaging style. The use of a uniquely Apple image—that isn’t the Apple logo—in a piece of jewelry is a good fit because it ties into Apple brand imagery (so no competitors would have an identical giveaway) and it’s not something available anywhere other than this event. To integrate the social aspect into the giveaway, create a hashtag that ties into the promo such as #InCommand or #GHCinCommand and encourage attendees to post photos of themselves wearing the earrings. You could even set up a selfie station with the #InCommand theme and Instagram photo frame to facilitate the fun. What a difference incorporating design can make in the types of promotional products that can be created to represent your brand at events! Whatever trade show giveaways you design for event marketing, just remember that these products are the one thing customers and prospects can take home with them to remember you, so make sure you’re doing your brand justice. Create something that’s as truly different as you are. “Ultimately, a company’s success hinges upon how well it intuits what users want and how much each pleases them with products,” Fast Company’s Kuang concludes. “Only design has that power to seduce and delight.” We couldn’t agree more. Law 2: Align With Brand DNA. An Idea For Netflix. Is your company “alive?” While a business clearly isn’t human (or any other kind of mammal, reptile or amphibian), it is an entity that grows, changes, responds and evolves based on internal desires and external factors. It’s often said that company leaders, employees or customers are the lifeblood, or heart, of organizations. Marketers work on creating a brand personality to bring a human touch to business. Continuing this line of thinking, then, it’s fair to say that brands have DNA. When creating conference giveaways, do you consider this brand DNA and design products to enhance your specialized experience? Or do you do a quick product search in a catalog or online? If the latter, you’re not alone. So we’re letting you in on a little-known secret: There’s more to promotional products than browsing catalogs or websites to find items that align with corporate colors or event themes and then decorating them with the company logo. The Event: International Consumer Electronics Show (CES). The Marketing Goal: Create word-of-mouth and boost booth visitors during the event, as well as build brand awareness via repeat product exposure and use after the event. CES is the world’s gathering place for all who thrive on the business of consumer technology. Every January, more than 170,000 people from 150 countries flock to Las Vegas to see what’s new in the world of tech. With such a large event—it covers more than 2.47 million square feet and is now in three locations across The Strip—it takes a lot to get noticed and create buzz during the event. 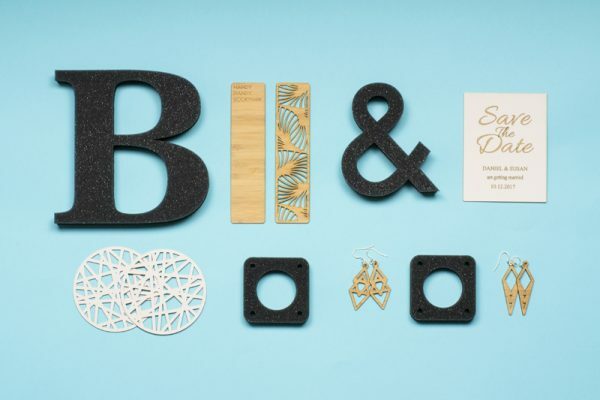 This is where some well-crafted corporate gifts can make a statement, and designer Aaron Bleackley has just the idea for Netflix. 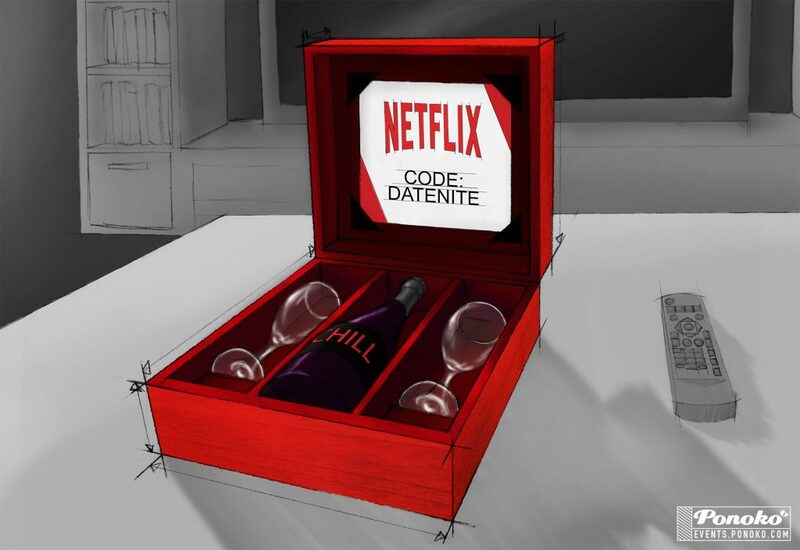 The custom-designed, laser-cut gift box could contain a bottle of wine custom labeled with “CHILL,” wine glasses, chocolates, candles and a card with Netflix logo and subscription code to a special offer. Who wouldn’t want to settle in for an evening of cuddles and “House of Cards?” We know we would! This idea works because it ties into the very fabric of what Netflix is all about: The experience of enjoying your favorite movies and TV shows from the comfort of your own home. The date night kit enhances this experience by making it special. And since the box is a custom build and the kit contents are specially curated, there’s nothing else like it available. There’s much talk in event marketing circles about “creating an experience.” And rightfully so. The adage that “people may forget what you say, but they won’t forget how you made them feel” is true. Event attendees won’t remember the marketing messages. But they will remember how they felt attending an event. And much of this comes back to design. 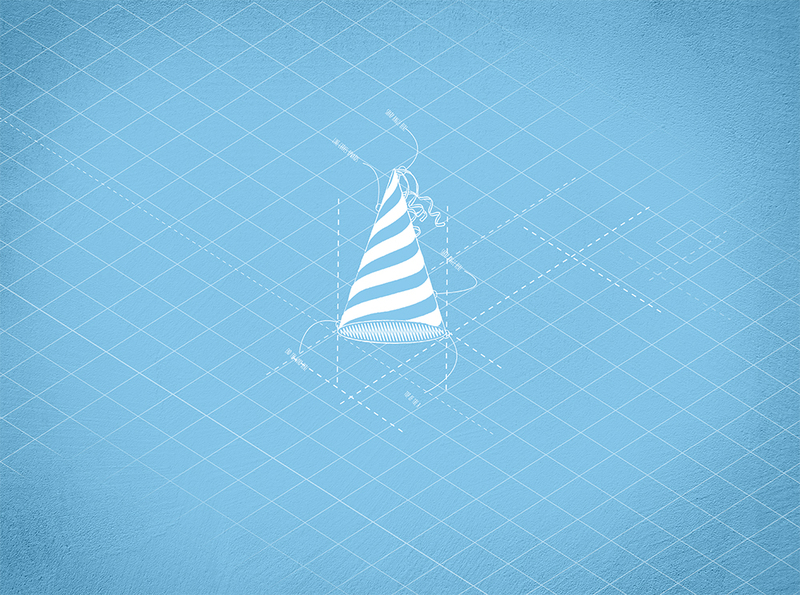 Was the website design easy to navigate and user friendly? Was the event venue and design of the space welcoming, exciting, entertaining? Was the swag given to support the event interesting, different, useful and something recipients want to keep? In the Entrepreneur article, Idonije says that you want to be more than just another business; you want a branded image that makes you inspiring, strong and recognizable. Absolutely! And brand DNA plays a pivotal role. “Successful marketing will get people to give your brand a chance, but it will not get them to return or to become devoted brand champions. It is only your brand’s ability to provide a distinct, consistent and applicable experience that will keep your customers connected and coming back.” And isn’t that the goal? So what do you think? Does designing conference giveaways that aligns with brand DNA make a difference in how you connect with customers? Every business does something special, or else it wouldn’t exist. 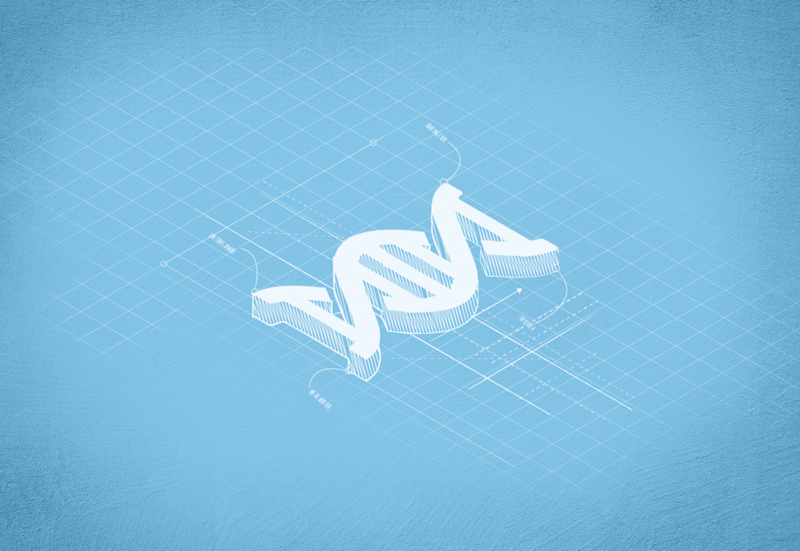 By bringing your brand’s unique DNA into the marketing campaign design, you can create an experience that’s as individual as you are. Law 3: Be Strategic. An Idea For Pinterest. 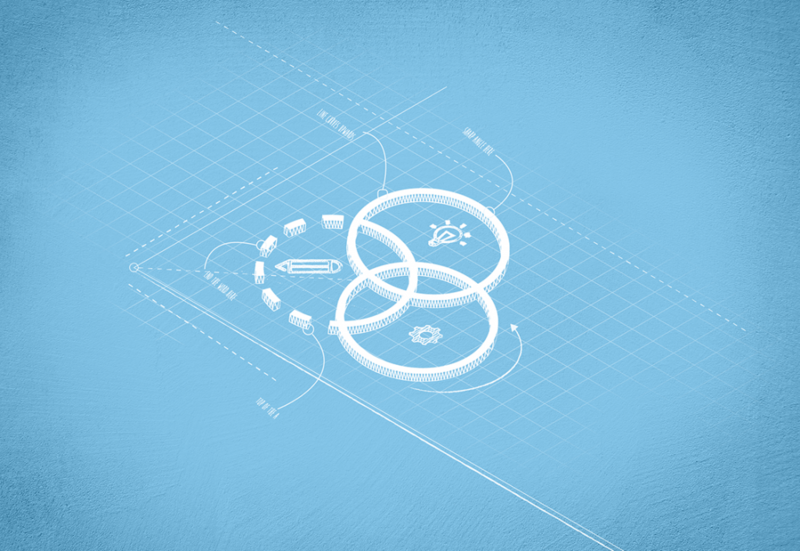 When it comes to business strategy, there’s a lot of talk about design thinking. Forbes espouses the benefits in “Why Design Thinking Should Be At The Core Of Your Business Strategy Development.” The Harvard Business Review discusses how “Design Thinking Comes Of Age.” And rightfully so. Tackling issues from a true design perspective makes strategic sense, especially when you see the outcomes. That kind of success is undeniable. Design Thinking is a methodology used by designers to solve complex problems, and find desirable solutions for clients. A design mindset is not problem-focused, it’s solution focused and action oriented towards creating a preferred future. Design thinking seeks to build ideas up, unlike critical thinking which breaks them down. Design Thinking draws upon logic, imagination, intuition, and systemic reasoning, to explore possibilities of what could be, and to create desired outcomes that benefit the end user (the customer). Design thinking can obviously be implemented company-wide. But what if we drill it down to events, and even more specifically tradeshow giveaways. For some reason, selecting event giveaways is often put off (or flat forgotten) until the last minute. If you’ve ever had an event marketer come to you with the panicked request that “I must have some kind of giveaway!” you’re not alone. But this late in the process, strategy is forgone and you must settle for what’s available in a rush. And this typically means a generic product picked out of a catalog. No design. No alignment with brand DNA. So boring! The Event: O’Reilly Design Conference. The Audience: UX and UI designers. The Marketing Goal: Build brand awareness via repeat product exposure and use after the event. Designers are constantly asked to design for the future—a future that by its nature is a moving target. 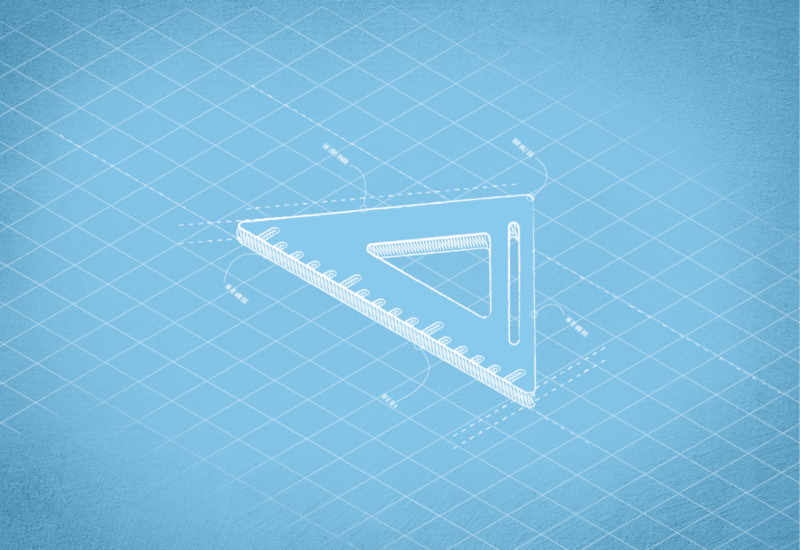 The O’Reilly Design Conference provides designers with the skills, connections and inspiration they need to shape the products and services of today and tomorrow. Pinterest, the world’s catalog of ideas, is a great place for designers to go before and after the conference for inspiration as well as organizing thoughts when working on a project. But sometimes you find ideas IRL. What then? Designer Annie Rawle had a great idea: Push Pins shaped as the Pinterest logo on the top of the pin. This idea works because it ties into the DNA of what Pinterest is all about: Collecting important information in a visual way so it can easily be referenced over and over again. 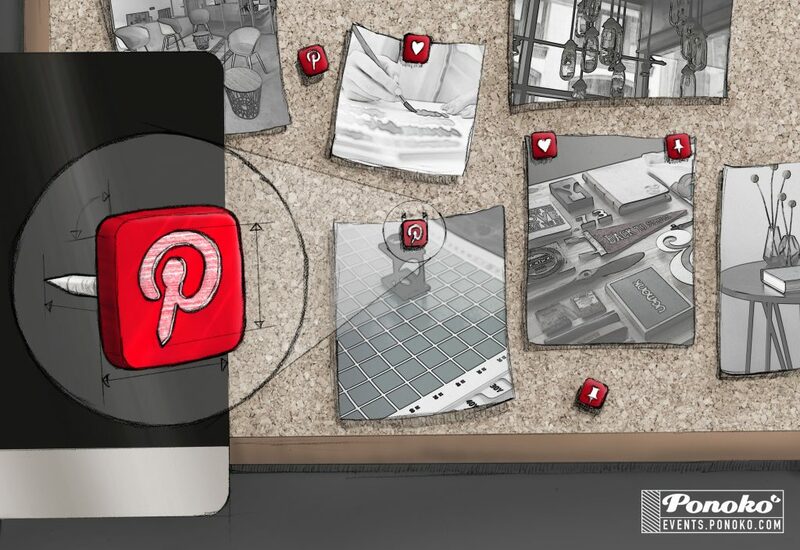 An actual push pin gives tactile meaning to pinning while literally putting the Pinterest logo in the hands of the user. And any time you can have repeat logo exposure and brand awareness, that’s strategically smart. When tradeshow giveaways are built into the beginning of your event planning checklist, so much can happen. You can strategically tie swag into the event theme, a current ad campaign or targeted marketing program to elicit a specific response. You can also make sure the products really speak to your audience so you can create a stronger, more meaningful connection with them. Can design thinking improve the process by which you work with event marketers? And how does approach improve the promotional products designed for events? Having a strategic approach to event marketing swag makes the products you choose so much more meaningful and can deepen the connections you have with customers and prospects. This immediately gives you better ROI. And who doesn’t want a better bottom line? Law 4: Have A Purpose. An Idea For Microsoft. Tony Robbins said, “Setting goals is the first step in turning the invisible into the visible.” And so it is with events, where the blandest ballroom or common convention center can be revived and brought to life with your vision. It’s no surprise that the most successful events—and the ones that sell the most tickets—are very clear on their goals and objectives. What if you extrapolate this concept of purpose for the overall event and apply it to the promotional products used to support the event? Corporate gifts for your events should have a specific purpose, right? Giving away products for the sake of simply having something to give away doesn’t make any sense. Yet it happens at every event. Oftentimes, trade show giveaways aren’t included in the strategic marketing discussions. Swag purchases are put off until right before the event, leaving no time to design something cool and meaningful that aligns with your brand DNA. The Event: Strata + Hadroop World. 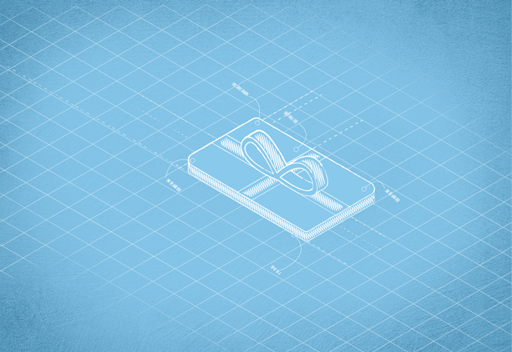 The Marketing Goal: VIP Customer Gift. Strata + Hadoop World is where cutting-edge science and new business fundamentals intersect—and merge. It’s a deep dive into emerging techniques and technologies where attendees dissect case studies, develop new skills through in-depth tutorials, share emerging best practices in data science and imagine the future. As an elite sponsor of the event, Microsoft is sure to have a significant presence and a number of goals they want to achieve. Our designer Philip Yip saw a great opportunity to incorporate some giveaways with a tagline the company is currently using—“Get A Better Picture Of Your Data”—for Microsoft Dynamics CRM. This software allows users to find and combine data from internal and external sources with familiar tools to help grow their businesses. They can gain customer insights and deepen relationships by better connecting individually with customers as well as by tracking, monitoring and prioritizing opportunities. 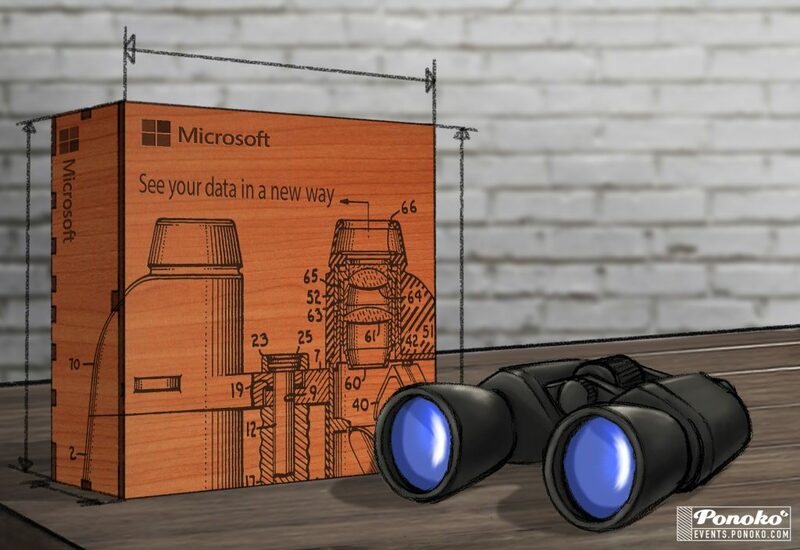 To tie into the visionary nature of the software, Yip thought it would be cool to use binoculars packaged in a laser-cut gift box as a special gift for Microsoft VIPs. This giveaway idea works because it directly ties into Microsoft’s current messaging: “Get A Better Picture Of Your Data.” Also, data can be confusing. So “being able to see things more clearly” aligns with the purpose of binoculars—and the software. With purpose, events and the swag that supports them are capable of making true connections with their audience. With purpose, the entire planning process has focus. Can having a specific purpose improve the process by which you as a designer work with event marketers? And how does this approach improve the promotional products designed for events? Having purpose—whether in events, trade show giveaways or life in general—helps cultivate success, fulfillment and ultimately (hopefully!) happiness. Having a little more happiness and joy in what you do sounds good to us. Law 5: Target An Audience. An Idea For Airbnb. All event attendees are not created equal. Some are ideal buyers for what you offer, and others aren’t. That’s why targeting a specific audience is so critical for event success. Who are you targeting? Mid-size firms in your geographic region? Tech savvy corporations? Anyone interested in your products or services? Mandy Porta, owner of Success Designs, a Baton Rouge, Louisiana- based website design and marketing firm, says these kinds of targets are way too general. Whether you exhibit at events hosted by other organizations or you produce your own events, determining your audience is one of the most important functions within your event planning checklist. Without defining your audience, you can’t possibly know where they hang out and where to reach them with your marketing messages says Mark Walker in the Eventbrite UK article How To Avoid The Number One Mistake Of Failed Events. Just like your overall event presence should be targeted to your specific audience, the give aways you choose should be designed with your perfect customer in mind. Yet all too often, promotional products selection to support your event presence are put off until right before the event, leaving no time to design something cool and meaningful that aligns with your brand DNA and truly speaks to your audience. Additionally, most corporate gifts are chosen out of a generic catalog—meaning, the items may or may not tie in to your overall marketing strategy and the brand story you want to tell. So what would happen if you included your target audience criteria within the conference swag design process? Identify demographics (gender, age, education, income, occupation, etc.) as well as psychographics (lifestyle, hobbies, values, personality, etc.). Then design branded merchandise your audience wants to receive so badly that they’ll stand in line to get it and then photograph it for social media to tell all their friends about it. The Event: Airbnb Open LA. The Audience: Hosts from 100 countries. Memories are only as good as the people you share them with. And the right giveaways at your tradeshows & events can help cement those memories and enhance an amazing experience. The Airbnb Open LA is a festival that brings together hosts from 100 countries to inspire one another and explore Los Angeles in ways that only locals know about. To keep that “local’s only” vibe going after the event, designer Anna Corpron created a framed mini chalkboard that can be hung in the host residence. 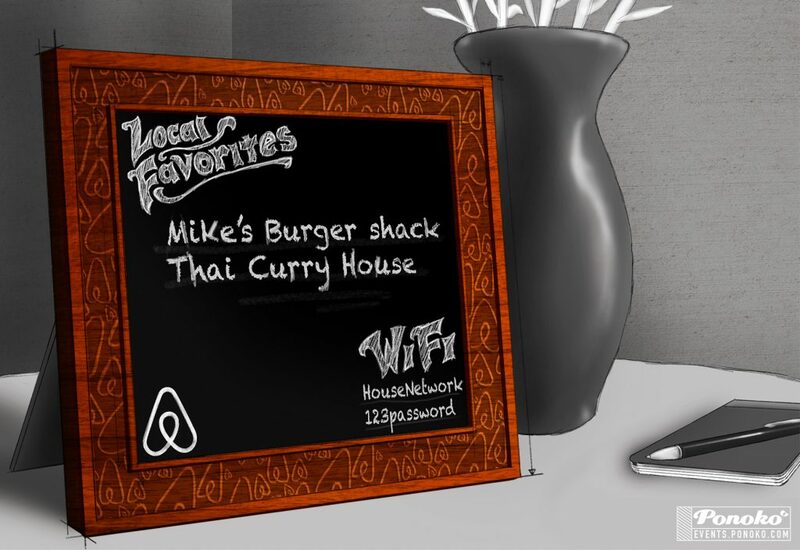 Each chalkboard would be imprinted with the Airbnb logo and a phrase—such as “Don’t Miss These” or “Our Top Recommendations” or ”Top Spots”—with space for the host to write in their favorites. The chalkboard’s smaller size makes it easy for hosts to pack it in their suitcases for the return trip home, and it will fit into any size residence from a resort-style villa to a studio apartment. Why does this idea work so well? Having a place to share simple details such as a wifi password or leave a personal welcome note goes a long way toward improving the guest experience and bringing life to new ways of hosting. And that’s what Airbnb is all about. According to Mark Walker in the Eventbrite article, there are three key steps to developing your audience understanding: Creating a persona, research and market sizing. Don’t think than any promotional product can successfully build your brand. This is one of the biggest reasons why giveaways fail. Only when you design to a specific target audience will you find swag success. Law 6: Be Different. An Idea For Facebook. Build verses buy? Whether with software, homes or trade show giveaways, there are always concessions when you buy off the shelf. The price may be right, but you sacrifice in other areas—features, colors, theme, availability or overall experience, to name a few. With a custom build, you can design specifically to your needs, style and image. And in the case of promotional products, you can design a product that completely aligns with your brand DNA—making you different from your competition. If you’ve put so much time, energy and money into creating differentiation for your products, customer experience, event presence and overall brand, shouldn’t you do the same with the promotional products that represent you? Here’s a not-so-secret secret: If you’re ordering trade show giveaways from a catalog or online store, those products can be used by anyone—including your competition. Going with an off-the-shelf solution may be quick, since promotional products selection to support event presence is oftentimes put off until right before the conference, tradeshow or summit. Choosing a catalog item can also be economical since you’re only decorating the product with your logo and not building it from scratch. But will this separate your brand from competitors? 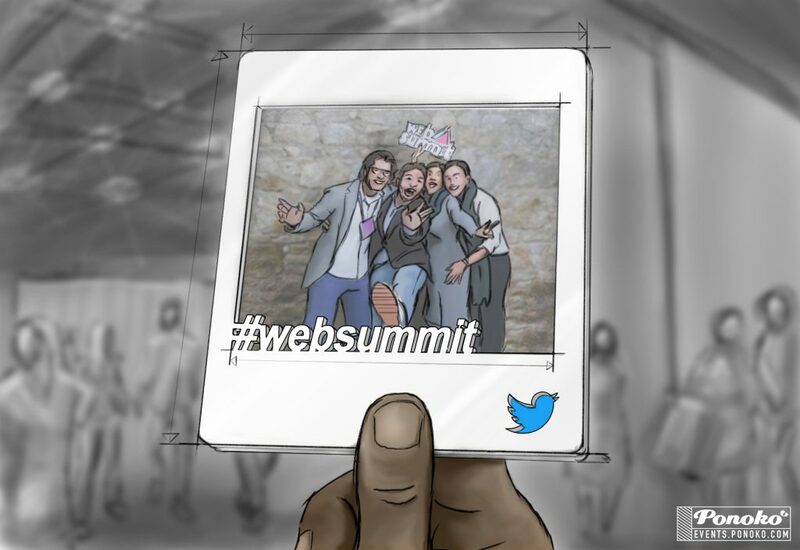 The Event: Web Summit – creaTIFF. The Marketing Goal: Create brand awareness via repeat product use after the event. What began as a singular conference, Web Summit is now home to 20+ independent conferences—each with its own stage, schedule, exhibition area, workshops, networking evening events and more. The creaTIFF conference track unites graphic designers and artists responsible for the design of the world’s top institutions as well as globally recognized packaging, illustrations and products. If Facebook were participating at creaTIFF and wanted to create some corporate gifts to appeal to this audience, designer Philip Yip had a great idea: A deck of UX design cards. Similar in size to a deck of playing cards, each pack contains hex color value cards, persona images, navigation icons, etc. and would include subtle Facebook branding. Yip says the cards’ appeal lies in the tactile way of finding design colors while providing a human and collaborative way of experimenting with different combinations. By focusing on being different from the competition, Yip found a way to design a product that’s unlike any other. And this is why the idea works. Duct Tape Marketing’s Jantsch says that instead of trying to be better or exactly like your competitors, build a strategy around a simple way that your company is different from the pack. When designing giveaways for event marketers, have you ever talked about specifically designing products that are different from the competition? 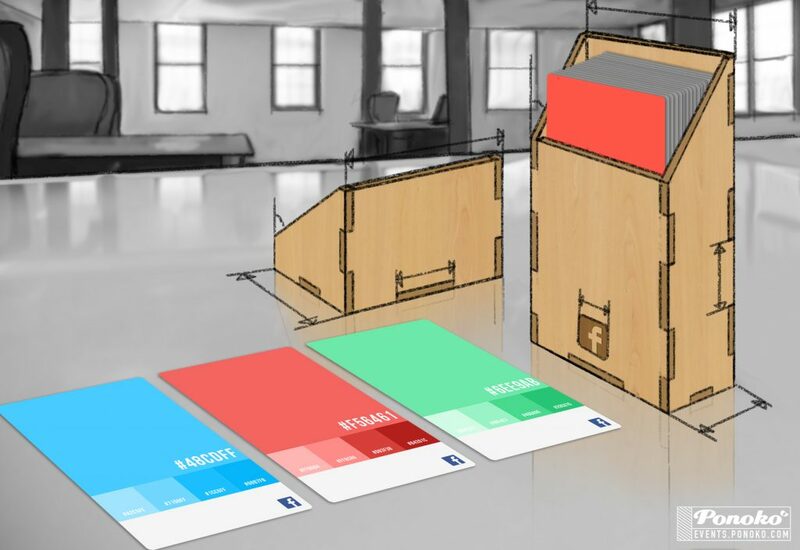 Would implementing this approach improve the promotional products designed for events? Author Mehmet Murat Ildan said, “Be different so that people can see you clearly amongst the crowds.” We believe this applies to event gifts too. Because when event attendees leave the venue with their swag bags overflowing, you want your branded merchandise to be the one piece they see, keep, use and absolutely can’t be without. Law 7: Custom, Not Commodity. An Idea For Adobe. When swag recipients receive one of your promotional gifts, is it obvious that it came from you? What if the logo or branding were removed? Would it still be clear the promotional products were yours…or could the item be from anyone—including your competitors? Generic promo products are just that. Generic. They don’t stand out in a crowd. They don’t completely tie into your brand story or marketing strategy. And there’s no differentiation with what you’re giving and what your competitors are giving … unless you create custom give aways that are unique to you. In a world of crowded marketing messages, you need a vehicle that can deliver your story better than the competition. And common trade show giveaways aren’t going to get the attention your brand desires. While Heinz is speaking more about the products and services a company provides, the concept is also applicable to the merchandise you give. In fact, produce and promotional products just might have more in common with each other than you might think. Have you ever received food gifts from Harry & David during the holidays? Their Royal Riviera Pears are legendary. First, the packaging is beautifully designed. You immediately know it’s from H&D and can’t wait to open it. Second, the product quality is excellent. The pears are soooooooo good! At the core, the gift is simply produce. Just pears. You could go down to the corner market and get some. But you don’t. Instead, you want to give an experience. The luxury pears that are priced at a premium deliver this experience. Translate this to promotional products. Choosing giveaways from the standard selection in a catalog or on a website is like going down to the corner market of branded commodities. If you want to create a meaningful and memorable experience for your target audience, designing custom promotional gifts is the only way to achieve that goal. The Event: Adobe MAX – The Creativity Conference. It takes something special to impress attendees at Adobe MAX – The Creativity Conference—an awe-inspiring mashup of 9,000+ of the world’s top creatives and best-in-the-business experts who come together to learn, share, create, connect and play. But designer Jen Pepper was up for the task. To create brand awareness via repeat product use after the event, Pepper designed an artist’s tool set based on the iconic Adobe tools found in its software. 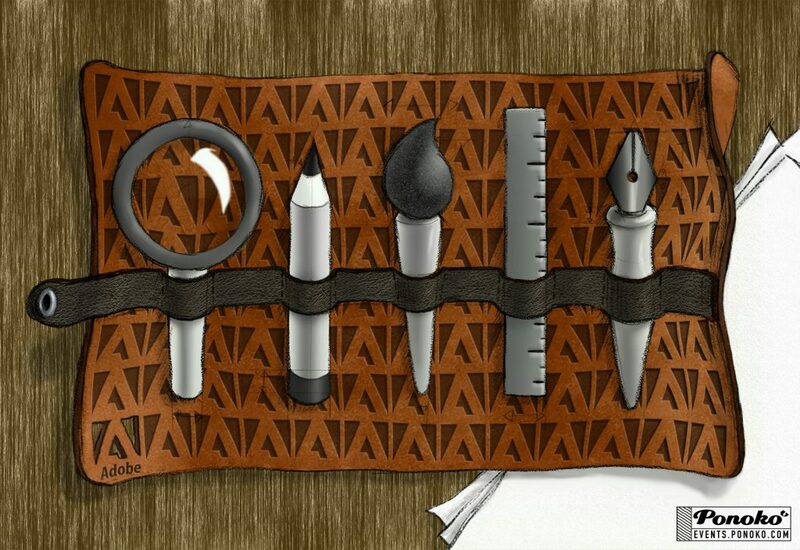 The set includes an artist’s quality magnifying glass, pencil, paint brush, ruler and fountain pen—any or all of which could have an engraved logo. By thinking custom and not commodity, Pepper created a product that incorporates good design and brand DNA, is strategic and has a purpose all while targeting a specific audience and being different from the competition. She incorporated the first six Laws Of Trade Show, Conference & Event Giveaways. And this is why the idea works. So what do you think? What would happen if trade show giveaways weren’t ordered straight out of a catalog and instead were crafted following these 12 Laws? How would incorporating good design and brand DNA, being strategic, having a purpose, targeting a specific audience and being different from the competition change your approach to designing promotional products for events? We’re not gonna lie: Designing truly custom promotional products that are memorable and meaningful is hard work. It takes thought. Planning. Strategy. Maybe that’s why so many opt for simply ordering branded merchandise out of a catalog. It’s just easier. But great brands didn’t become great brands by taking the easy way out. No way. They fought their way to the top. And paid attention to all the little details (like promotional swag) in the process. And you can too. By removing the limits of what promo products are offered in catalogs and forgetting the commodity mindset, you can tap your inner creativity to design promotional gifts that deliver a remarkable experience. 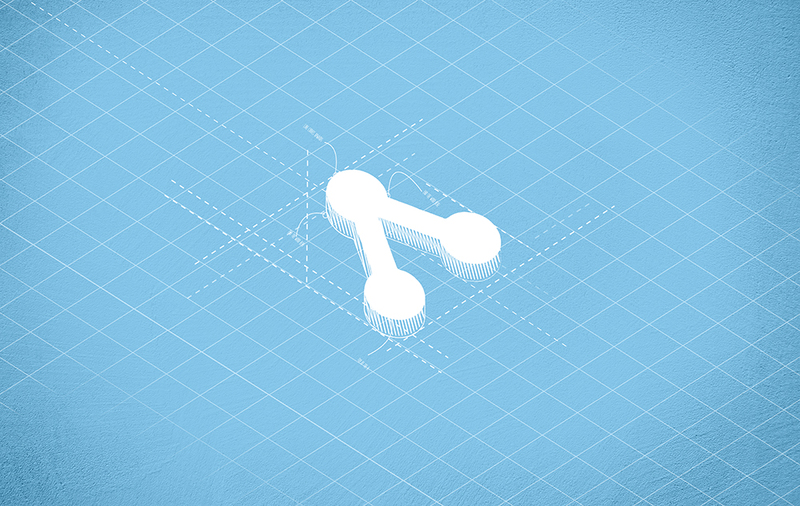 One your customers will stand in line for and share with their friends on social media. Isn’t that what you want from your promotions? Law 8: Add Personalization. An Idea For Uber. Personalization. It’s not new to marketing. For years, salespeople have known that people psychologically respond to hearing or seeing their own names. From a digital perspective, Amazon has perfected the personalized shopping experience with its algorithms that predict what additional items you might like. One aspect of personalization that isn’t discussed much, however, is with conference & event giveaways. Most promotional products are decorated with a company name and logo to be distributed en masse. And this can work brilliantly when you have a goal of building brand awareness to a large group of people. But when you want to make a big impact with a small group of customers or prospects, then it’s time to get personal. The underlying purpose of giving any promotional product is for recipients to love the gift so much that they keep it and use it—repeatedly seeing your logo (and subconsciously building brand recognition) in the process. It’s understood that the item must be useful and valuable to your target audience. One way to increase value is simple: Add the recipient’s name. Put yourself in the recipient’s shoes: If something has your name on it, you are much more likely to keep it. And in the event you have a similar product, the one with your name makes it 100% unique to you, increasing the likelihood that it will be kept and used over the other items. The Event: Web Summit – AutoTech. The Marketing Goal: Create a more loyal relationship between the brand and VIP customers. With the major advancements in autonomous vehicles, connected cars and the Internet of Things (IoT), Web Summit – AutoTech is the place to join the revolution redefining how we interact with everyday products. At the Summit, leaders will share their ideas on how the world is adapting to the new wave of products allowing us remote control over all aspects of our lives. Saying this group is “tech-savvy” is a major understatement. So while trade show giveaways that incorporate technology would certainly interest this group, not any ole tech product will do. To appeal to this upper echelon, it makes sense to tap into the impact this connected IoT age will have on our lives. 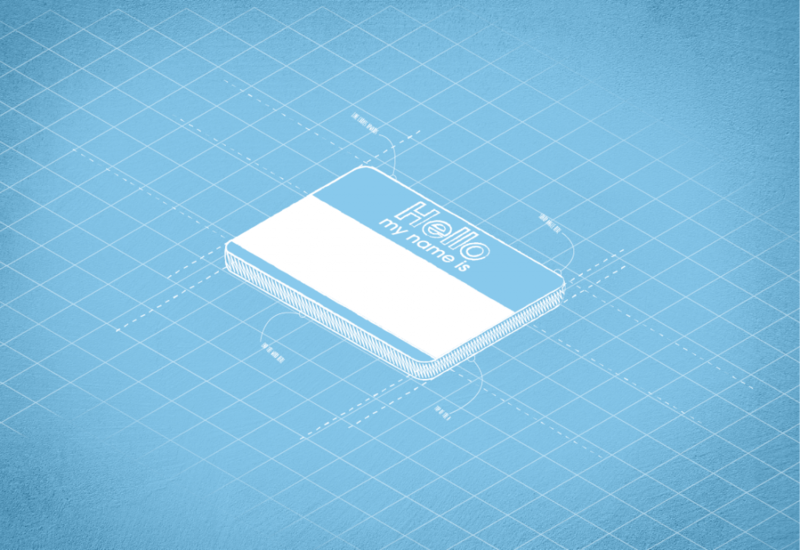 Designing a luggage tag that not only allows for live tracking of the device but is also personalized with the recipient’s name makes for a functional accessory that won’t soon be forgotten. This kind of connected device embodies IoT and Uber’s philosophy of combining bits and atoms, making it a perfect tie-in to the Uber brand. Uber is technology that moves physical things from one place to another, be it people, packages or your lunch. 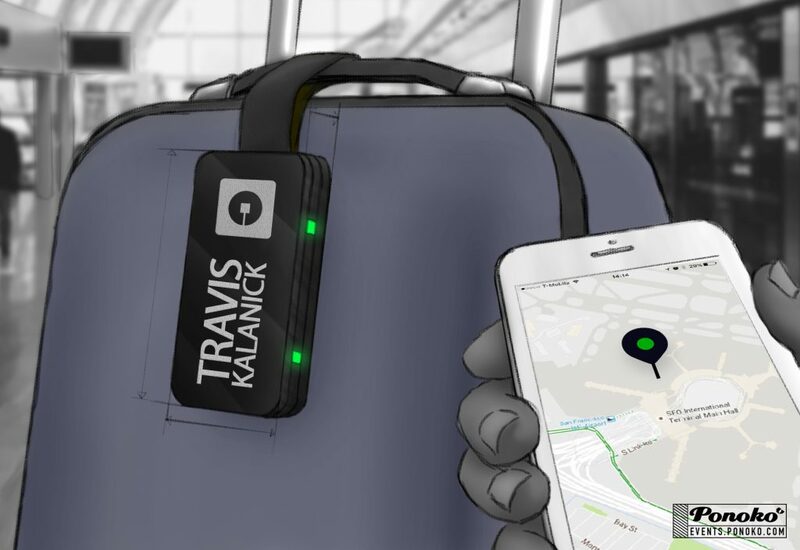 The connected luggage tag expands on this idea allowing recipients to track their luggage as they travel the world. Why does this idea work? People like the sound of their own name, and they like seeing it in print. It’s human nature. So when it’s on swag, the product is more likely to be kept and used—reinforcing the brand connection. So while the focus of this article is on incorporating a recipient’s name on a promotional product, the underlying context is to do so in conjunction with the right message, at the right time, in the right channel in a way that resonates with recipients in meaningful way. That’s why our goal—creating truly custom promotional products that fit brands like a glove by baking in the DNA of the brand + audience + event—is so important to changing the perceptions of what can be accomplished with branded merchandise. How does personalization impact the way promotional products are designed? Would receiving personalized gifts make a bigger impact on you? Would you appreciate the gesture, and would you think more highly of the advertiser? Seth Godin said, “Anticipated, personal and relevant advertising always does better than unsolicited junk.” We couldn’t agree more. Event attendees know there will be a plethora of merch to be had. And while some of it will be anticipation-worthy, most, sadly, will not be. But this is where you have an opportunity. What if the give aways at your event is so rad that your fans can’t wait to attend just to see what you do next? What if you were able to personalize this swag to make an even bigger impact? And what if you could deliver such a relevant item that recipients would stand in line for it, share it on social media and use it often at home? That’s the sweet spot where marketing magic happens. It’s not easy. If it were, then everyone would be doing it. But then again, you’re not everyone. Law 9: Don’t Forget Presentation. An Idea For Dropbox. Packaging. It’s often taken for granted as merely something that protects a product during transit and stacks nicely on store shelves. Yes, it’s functional. But it does so much more. Packaging is what consumers see before they actually get to the product. It must present the brand’s message so convincingly that buyers select this product over all others. While this brand messaging is often conveyed through words, it can also be communicated through colors and the shape of the packaging. Think about Tiffany’s, known worldwide for its signature blue boxes. It was Charles Lewis Tiffany who mandated that the coveted boxes could only be acquired with a Tiffany purchase. As reported by the New York Sun in 1906, “Tiffany has one thing in stock that you cannot buy of him for as much money as you may offer, he will only give it to you. And that is one of his boxes.” Tiffany Blue Boxes make hearts beat faster and epitomize Tiffany’s great heritage of elegance, exclusivity and flawless craftsmanship. Mr. Tiffany understood the power of giving a product as a gift. And you know this power, too. When it’s your friend’s birthday, do you simply hand him or her a gift with a “here ya go” attitude? Of course not. You wrap the item in tissue and package it in a gift bag or a box. You add a bow and a card. You include these little extras because you want them to feel special. You know the presentation of the gift can mean as much as what’s inside. Need more proof? Check out this video when a three-year-old girl receives a paper clip as a gift from her mom who was doing an experiment to see if she could make any everyday item become special. It’s packaged in a pretty gift box, and the little girl’s eyes light up when she receives it. The presentation was so special that she knew whatever was inside must be special too. The importance of packaging is so clearly demonstrated with consumer purchases and occasions for gift giving. Why, then, is presentation so often dismissed or forgotten when it comes to B2B? Case in point: How many times have you been to an event where a company representative reaches into a brown craft box, grabs the promotional item and hands it out? What kind of impression does this give? How does it make you feel as a recipient? Even the coolest product loses appeal when very little thought is given to presentation. Flip this scenario around: What if you were at an event where a company gives promotional gifts that are packaged in an attractive gift box. It could be the very same item distributed en masse in the above example, but the presentation makes you feel different as a recipient. So why not take a hint from Tiffany’s signature blue box and create a packaging plan to complement the promotional gifts you give? How would this change the perception of traditional promo products? The Event: GSMA Mobile World Congress. 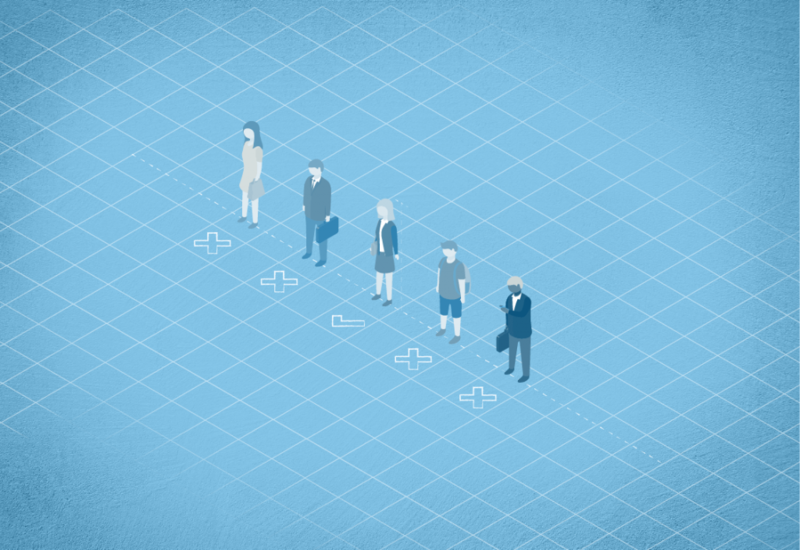 The Audience: Chief Information Officers. The mobile industry continues to be characterized by high levels of growth and opportunity, and as the industry becomes more dynamic, the opportunities within it increase in equal amount, as do the challenges. Looking toward a future with such an enormous scope requires a massive annual gathering: The GSMA Mobile World Congress. The four-day event includes exhibitions—with everything from virtual reality, new handsets and ingenious app ideas to 3D printing, privacy protection and backend solutions—as well as hundreds of speakers from consumer brands, mobile organizations, mobile operators and industries touched by the mobile market such as advertising, banking, health, NGOs, entertainment and education. Additionally, industry partners provide events, user conferences, trainings and forums covering many topics in the mobile ecosystem, from advertising, banking and gaming to health, education and media. With 100,00+ attendees and 2,200+ exhibitors, how do you stand out among the mobile industry’s most influential brands? With a great message…and a little help from promotional products. Data security is a significant issue for any company, and Dropbox is all about ease and security of data access. 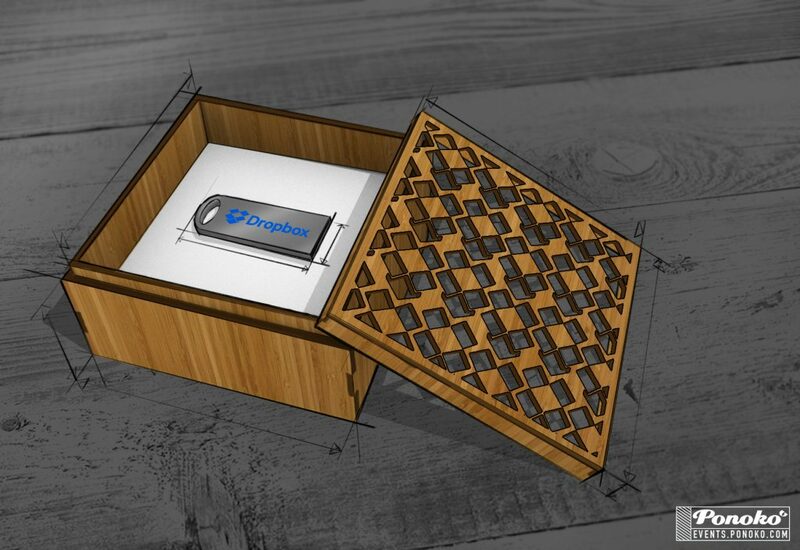 If Dropbox attended Mobile World Congress, it could use a secure USB flash drive packaged in a custom gift box that not only protects the drive but also furthers brand messaging with its design. CIOs are busy and have sensitive data that they need to access across devices and locations. A compact Dropbox branded USB dongle could be created to auto-configure to a Dropbox account when first plugged in, acting as a two-factor authentication device. With increased security from the two-factor authentication provided by the dongle as well as the automatic connection (with password prompt) provided when plugged into any computer, this device is very convenient for security and time-saving file access. Why does this idea work? The flash drive is useful and the dual authentication makes it even more functionally secure. But the packaging is what sets it apart and makes it feel like a gift. “Packaging is powerful because it tells consumers why your product and brand are different,” says Joshua Conran in the Inc. article Why Your Product’s Packaging Is As Important As The Product Itself. Make inexpensive packaging look chic and personalized. Make the package part of the experience. “Remember, your product’s packaging is meant to communicate a purpose: What your brand stands for and what it means for your customer,” he says. “Don’t miss this opportunity to create a lasting impression in the minds of your customers.” Read Conran’s entire article here. How does packaging impact the way promotional products are designed and distributed? Would receiving a giveaway that is presented as a gift make a bigger impact on you? Would you appreciate the gesture, and would you think more highly of the advertiser? Instead of thinking of branded merchandise as solely a marketing tool, perhaps it’s wise to consider the implications of using trade show giveaways as gifts. 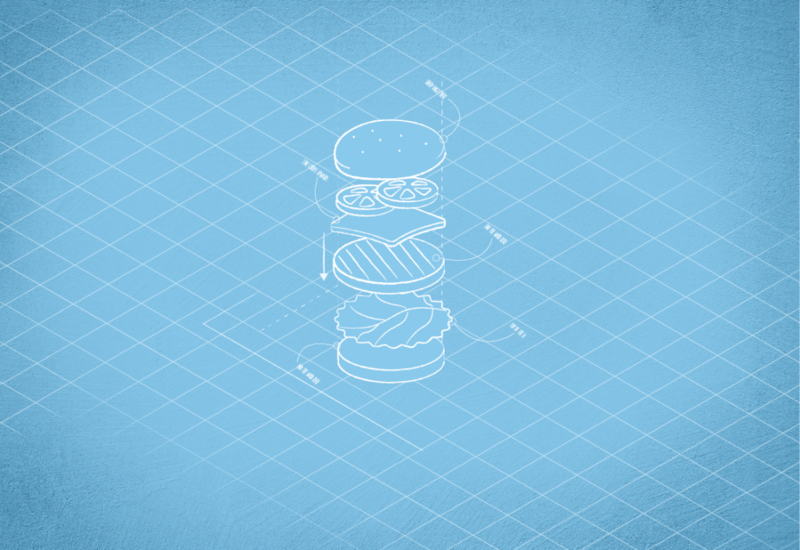 Rather than pushing advertising messages on an audience, pulling them into your brand’s world has a much different—and more appealing—experience. Law 10: Enhance Event Experience. An Idea For Twitter. Events are all about experiences. No matter what form they take—from conventions and trade shows to education summits, festivals and pop-up shops—events give brands a way to personally reach their target audience in a way no other marketing tactic can. According to EventsEye, there are 10,867 trade shows, exhibitions, conferences and business events worldwide—and this number continues to grow. With more competition to reach attendees combined with increased attendee expectations and sophistication, event producers have to be better at creating an amazing experience than ever before. Branded merchandise is a natural accompaniment to events because promotional products engage the five senses to create an experience of their own. But there’s talk within the #eventprofs community about skipping event marketing giveaways altogether to focus funds on the experience. Segar isn’t entirely wrong. If the items are generic, commodity products that don’t embrace the DNA of the brand and are given without a strategy, then what’s the point? Giving away products simply for the sake of having something to give away isn’t a smart use of resources. And this can ultimately have a negative effect on a brand, especially if the items are of substandard quality and/or conflict with what the brand stands for. The Event: Web Summit – Content Makers. The Audience: Content Marketing Managers. The Marketing Goal: Create word of mouth on social media during and/or after the event. How will we consume and create content in 10 years’, five years’ or even a year’s time? Web Summit – ContentMakers connects the world’s largest media and entertainment companies with disruptive new brands, platforms, investors and creators, giving them a platform to ask these hard questions. Web Summit’s size (21 conferences under one roof) and number of attendees (53,000+) make it quite the experience just by sheer numbers alone. So how can brands contribute to the overall experience while creating a unique experience of their own? Event attendees love to document their experience, so it’s no surprise that photo-based activities are on the rise. While digital pics give instant gratification, they also end up in a digital abyss often never to be seen again. So what if you could capture the experience instantly AND have something tangible as a memento? The lifespan of a tweet is only 18 minutes. But there are some that you wish you could capture a bit more permanently—perhaps the witty quip that was retweeted by a celeb or maybe the one with the photo of your BFFs. If Twitter were to attend Web Summit, it could create an interactive printed tweet station where attendees could literally print and frame their fave 140 characters. The Tweet Printer is a small camera-sized printer with a display that allows users to print out a tweet like an instant camera. It is connected to a mobile device, and from this device a tweet could be selected from the user’s own feed or from another user’s feed. The tweet selected could be anything funny, interesting or nostalgic that the user might want to display at home or in the office. The printer prints out on ZINK sticker paper (as used in many popular “instant” type photo cameras). If the tweet includes an image, the photo would be used as the background for the tweet. Once printed, the pic would be packaged in a laser cut frame for durability and ease of transport. This idea works because printing tweets is a fun and interesting way to grab the attention of content marketers, drawing them into the Twitter booth so they can mingle with Twitter staff. The interactive nature of the camera sparks conversations about effective social media marketing as well as creates a fun and new way for people who use social media marketing every day to interact with Twitter. It creates an experience in the booth, which translates to positive memories every time attendees look at their framed tweets. Once an event is over, you may not remember every speaker you hear, or what hors d’oeuvres were served or what booths you visited. But you will remember how you felt about the overall experience. Tapping into those feeling is what turns an average event into an amazing one. And it all starts with planning. While the focus of Solaris’ article is more about logistics and overall event dynamics, his comments apply to event gifts as well. For some reason, selecting promo mechandise is often put off (or flat forgotten) until the last minute. Then there’s a panicked “I must have some kind of giveaway!” moment, and a quick product search in a catalog or online ensues. But this late in the process, strategy is forgone and you must settle for what’s available in a rush. And this typically means a generic product picked out of a catalog. No design. No alignment with brand DNA. And no emotions to tap into to create a sincere experience. By incorporating corporate gifts early into your event planning checklist, you can design products that have the specific purpose of evoking an emotional response that complements the overall experience you want to create. How does creating an experience impact the way promotional products are designed and used at events? How does this approach improve conference swag? Creating really special give aways that recipients will keep and use facilitates how they remember the great event experience and strengthens the overall brand connection. Solaris says, “Emotion without planning is a missed opportunity, so always use emotions as the great condiment of a perfectly planned event.” Sounds delicious to us. Law 11: Make It Shareable. An Idea For Amazon. Buzzworthy. Shareable. Viral. Qualities so desired by event managers that they’ll work all year long to create an experience so interesting, so captivating, so significant that attendees are compelled to share their opinions about it before, during and after the event. But what typically isn’t in this strategic conversation? We’ve talked throughout these 12 Laws about how give aways for tradeshow events is often an afterthought. With mere weeks before an event, there’s often a panicked “I must have some kind of giveaway!” moment, and a quick product search in a catalog or online ensues. But by incorporating promotional gifts early into your event planning checklist, you can design products that have the specific purpose of enhancing the event experience so that attendees not only share your event socially but they include the promotional products in their social shares, creating an even stronger bond with your brand. The Event: Amazon Web Services re:Invent. The Marketing Goal: Create word of mouth at the event, to entice others to the booth. Robotic droids are a hot topic. Hot! Whether you like Transformers, Star Wars droids like the new BB-8 or the real-life robot Wally that delivers food and bev to guests at the Residence Inn, robots being integrated into our lives is no longer science fiction. So what better way to get some social buzz at Amazon Web Services re:Invent than to tap into the trend with promotional robot kits made with high precison laser cutting tech. AWS re:Invent is a global customer and partner conference that gives small businesses access to tools previously only available to big companies. They do the hard work and help you scale your business. It’s kinda like having your own personal droids. 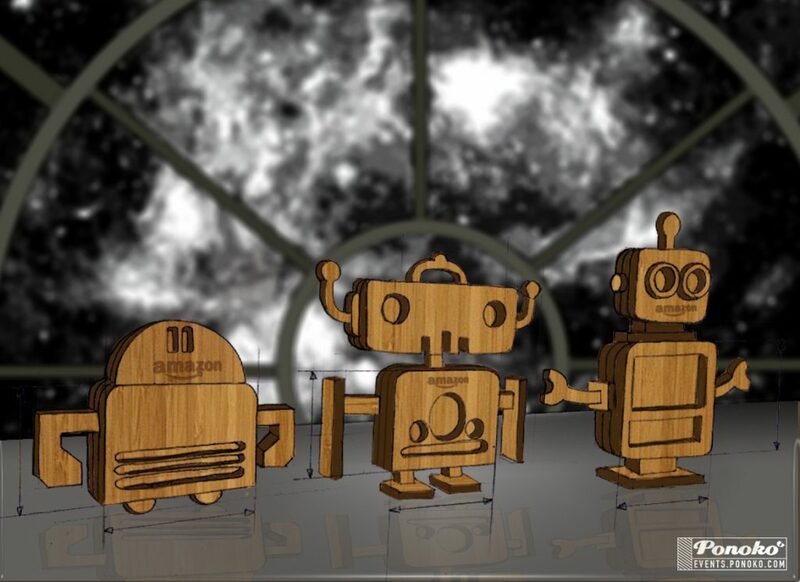 To showcase this theme, the laser cut robot kits would be displayed in the tradeshow booth to get the conversation started. Imagery of a cloud galaxy far, far away could be used to set the scene. Say hello to EC3, S3 & RDS. These are the AWS droids you’re looking for. Tweet what you’ll do with your favorite droid using #AWSdroids & we’ll send him to you. This idea works for a number of reasons. First, it taps into the popularity of droids featured in movies such as Star Wars as well as the real conversations people are having about the future of AI. Second, it creates conversation at the event—both online and in person. People see other people’s tweets and want to get in on the action. Using a hashtag such as #AWSdroids helps track these conversations and gives the opportunity for on-site interaction with attendees who are tweeting. 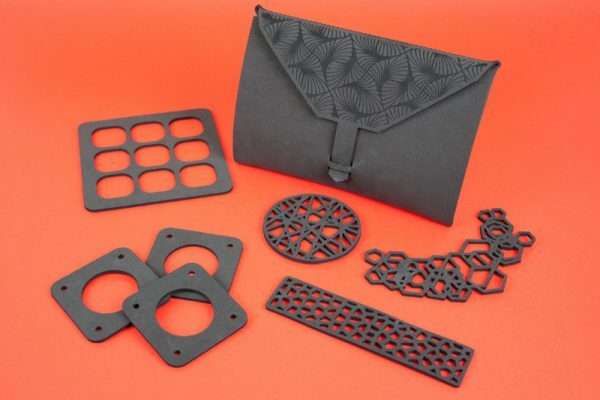 Third, offering to send the laser cut robot kits is useful in lead generation (must have address to mail) plus it eliminates an inventory issue of stocking the kits in the booth and frees up tradeshow staff to talk to customers about their business instead of managing the kit giveaway process. How can you keep attendees engaged before, during and after the event? With some damn good planning—and the right giveaways. Did you know that almost equal numbers of attendees and wishful attendees talk about the event in the days and weeks prior? Yep. It’s true. In fact, Buffer did a year-long study of more than 25 million social media posts from 50 of the most popular events—everything from music festivals to endurance races—and learned that 40% of social posts occur pre-event and 42% happen on site. So it’s just as important to get social prior to the event as during it. In the pre-show planning stages, narrow down your promo gift choices and ask attendees which one they’d most like to receive at the event. Not only does this start conversation around the event, but it also gives you important insight into what branded merchandise will be successful. Learn how with this Twitter poll tutorial. Once you determine the kind of swag you’ll use, start hinting at what it could be. Take close-up photos that just show a portion of the item and ask attendees to guess what it is. Give hints about size, color, function, etc. Have fun with it! Retweet people’s guesses and ask others if they think the guess is correct. When someone does guess correctly, give them a big social shout out and show the product in full. You could even give an iTunes gift card to the winner as added thanks for playing along. Once at the event, use a photo booth to help attendees share their event experience. Encourage them to include your goodies in the snaps and have fun. Also add a branded banner to the bottom of the photos to make them special to that event. After the event, have a contest for the best photo showing your corporate gifts back in the real world. Narrow down the contenders and have your audience vote on the winner—and then give them something special. Can using giveaways strategically create buzz around your event participation? With creating buzz as a goal, will you change how your swag is designed? The beauty of promotional products is that they can tie into these emotions. You have the opportunity to create that little something special to make the event—and the promotional gifts—uniquely you. Something unexpected. Something your attendees haven’t seen before…but would love to have. Something that gets people talking. Buzzing. Who wouldn’t want to share that? Law 12: Have Fun. An Idea For Google. Of course this doesn’t mean every day will be filled with rainbows and unicorns, but Twain was on to something regarding happiness at work. In fact, a research study by the University of Warwick found that productivity grew by 12% on average when employees were happy in their jobs. Conversely, productivity dropped by 10% when employees were unhappy. Andrew Oswald, Eugenio Proto and Daniel Sgroi from the Department of Economics at the University of Warwick led the research. “Companies like Google have invested more in employee support, and employee satisfaction has risen as a result. For Google, it rose by 37%; they know what they are talking about,” says Oswald. This research supports what Shawn Achor, author of The Happiness Advantage, has learned. He says that when a person feels positive, the brain works better. Individuals are more creative and are better at solving problems. Additional research shows that when team members are happy at work, they are better collaborators, work to common goals and are more innovative. Creativity, innovation, collaboration, problem solving and working toward common goals are all critical components when designing events—and the marketing gifts used to support them. What’s the point of giving away branded merchandise at an event? There are potentially many goals. Most often, it is to create brand awareness, strengthen brand recognition and loyalty, and generate buzz. These things are far easier to achieve when the products are fun and are so totally engrained in your brand’s DNA that no other company could possible have given away something so memorable and meaningful. Being able to incorporate fun and actually enjoy the process of designing custom swag for events means that promotional products selection can’t be put off until the end of the process. No way. It must be part of the strategic conversations from the beginning. While there’s nothing inherently wrong with giving away a pen or coffee mug, you’d have to do something really spectacular to make these ordinary items stand out amongst everything else vying for attention at an event. Case in point: Which would you rather receive? A unisex t-shirt or an electronic luggage tag created for Uber that is not only personalized with your name but also features live tracking through an app so your bag will never be lost? An adult coloring book with colored pencils or creativity tool set designed for Adobe with artist’s quality magnifying glass, pencil, paint brush, ruler and fountain pen? A Magic 8 Ball keychain or high-end binoculars in a laser cut gift box like these for Microsoft to help you see your surroundings more clearly? We’re betting you chose the latter every time. And these are just a few of the ideas we’ve designed throughout these 12 Laws. While each of these potential products has their own purpose and target audience, there is a commonality: Fun! The Marketing Goal: Create brand awareness via repeat use after the event. 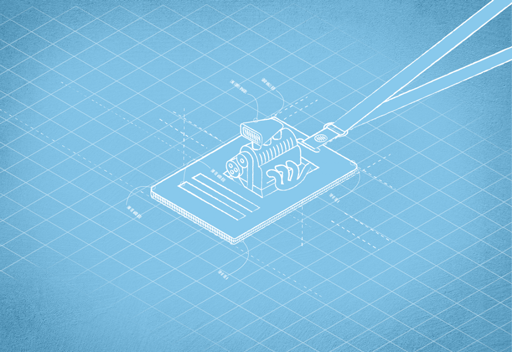 Google I/O, the annual developer festival, gives attendees the opportunity for hands-on learning, technical talks and a chance to hear more about Google’s latest developer products. And it’s the perfect place to debut custom trade show giveaways that will get software developers talking: A kitset drone kit. 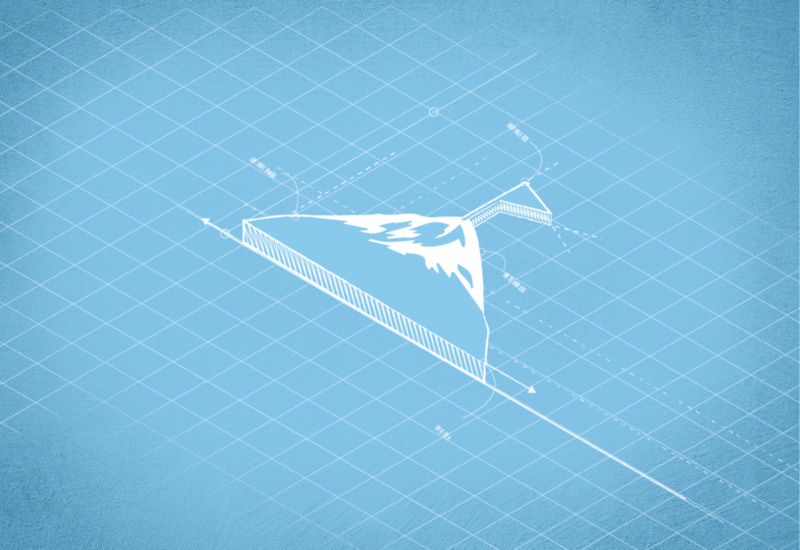 Google has been exploring drone projects such as Project Wing as far back as 2014. Since the patent has finally been granted, the project could potentially take launch in 2017. A kitset drone giveaway dovetails perfectly into Google’s ongoing projects in a fun way while educating and challenging developers to push them further. And by bringing awareness to something large Google is working to develop, it facilitates further use of Google’s product lines. 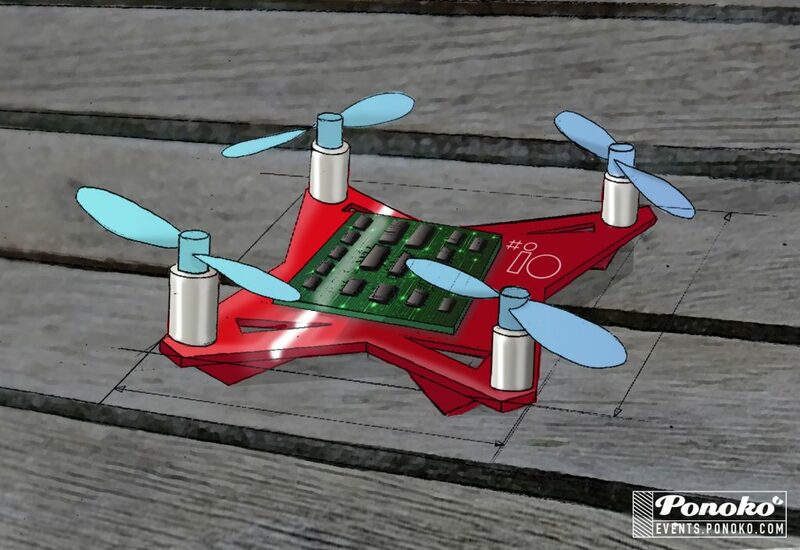 This kind of event give away works because a kitset drone kit combines technology and fun. Plus, it provides a hands-on experience for software developers to assemble and program the drone to further enhance the connection between attendees and advertiser post-event. Drones are the hot new technology. It’s kind of like owning computer in the late ’80s early ’90s. Google is a brand that’s always pursuing the leading edge of technology, and this custom conference swag idea encapsulates that. So if your brain works significantly better when you’re positive, it makes sense to cultivate happiness and enjoyment in the workplace. “We found that optimism is the greatest predictor of entrepreneurial success because it allows your brain to perceive more possibilities,” says Achor. While Achor is making the correlation on a macro level between happiness and entrepreneurial success, we’d like to posit that this stands true on the micro level between happiness and event success. And even more to the point: Happiness and event giveaway success. The more possibilities your brain can perceive, the more open you are to creating branded merchandise that no one has ever seen before. And the more you can enhance the overall event experience. Can incorporating fun into the promotional products design process make it more enjoyable—not only for you but also for the recipients of the give aways you create? Will cultivating overall happiness in the workplace result in more creative, unique and special products? How can having happy employees complement everything you do to build an amazing event experience? Many people think that success brings happiness. But Achor says the lab-validated truth is that happiness brings more success. To make it happen, he recommends reversing the happiness and success formula. Instead, he says to increase your levels of happiness in the midst of a challenge. In our case, in the midst of planning an event or in the midst designing a custom promotional product to support this event. Only then will we find that all of our success rates rise dramatically. And every business outcomes improves. So what did we learn from the taking on this challenge? A lot. To create swag that is truly special takes strategy. You must have a firm grip on your brand message and how it can be brought to life through a product. You must understand your audience, their needs, wants, desires. Their pain points. How your brand can address their issues. 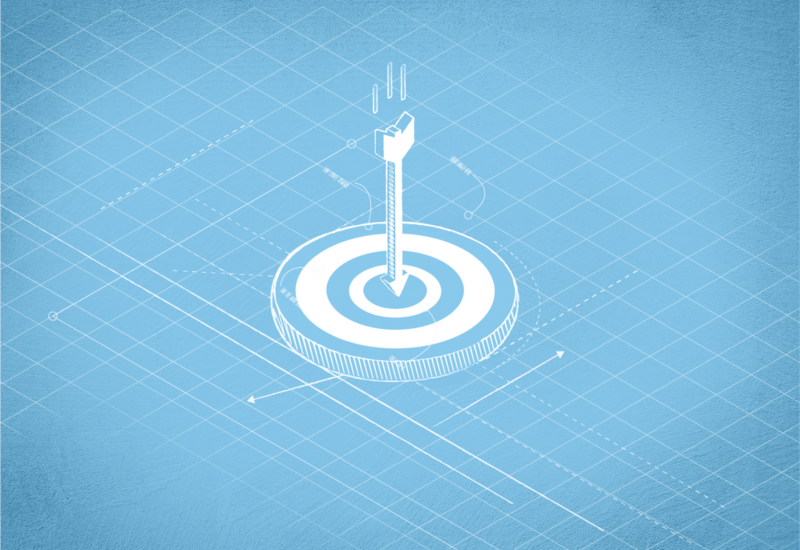 And how your brand messaging can attract—and hold—their attention. Creating custom giveaways means starting with a blank piece of paper, which can be both a blessing and a curse. You can do anything, but you must start somewhere. Many designers and event managers don’t get past this point and give in to the ease of selecting stock products. But this late in the process, strategy is forgone and you must settle for what’s available in a rush. And this typically means going back to a generic product picked out of a catalog. No design. No alignment with brand DNA. So boring! To make trade show giveaways fit the principles discussed in the 12 Laws, you must allow ample time and include it in the beginning of the event planning process. Event attendees know there will always be a plethora of promo gifts to be had. And while some of it will be anticipation-worthy, most, sadly, will not be. But this is where you have an opportunity. What if your meeting giveaways are so out there that your fans can’t wait to attend just to see what you do next? What if you could deliver such a relevant item that recipients would stand in line for it, share it on social media and use it often at home? That’s the sweet spot where marketing magic happens. And this payoff is sooooo worth it. Our goal throughout this process was to create a new breed of promotional products that completely reinvents how you market your brand at events—from tradeshows and conventions to sales meetings, educational conferences, pop-up events and everything in between. We knew in our heart that there must be a better way than browsing catalogs and websites for stock swag. To really do brands and the events they host, sponsor or attend justice, the branded merchandise needed to be special. Customized. Designed so that the products fit a brand like a glove by baking in the DNA of the brand + audience + event. Let’s get the conversation started. We’d love your feedback in the comments below. Also let us know what promotional products you’ve received that have really made you say “WOW!” Got ideas on what trade show giveaways you’ve never seen but would love to receive? Let us know that, too. Ultimately, we wanted to show promotional products for designers, engineers and brand/event marketers at brands, businesses and agencies to aspire to when marketing yourselves at events. Hopefully it inspired you. And maybe, just maybe, it will spark a movement. This is by far the best and most thorough article on the subject of marketing and product customization I have read this year. Thanks Valerie! Glad you enjoyed the article. Curious: Are you involved with creating promotional products? At any rate, hope this provided some inspiration for your next project, whatever that may be! Yes Lisa, I do promotional products for my clients …. ugly, boring, uninspired, run-of-the-mill, mind-numbingly dull products that someone’s secretary thinks is “good”. I have not been successful in getting clients to think outside the ordinary, humdrum box of standard promotional junk, or with being brought into the project early enough to make a difference … but your article has given me hope. The toughest part may be the creative – what single product idea mixes together the DNA of your client’s brand, their audience & the event? If you can hit this, clients fall in love with custom ideas fast. But then you have to produce this custom product within a budget very close to your client’s traditional “good enough” choices. Luckily custom products are a lot easier, hence more affordable, to produce these days than they used to be.